All serious sword enthusiasts eventually buy themselves a katana sword, the weapon of choice the Japanese Samurai used for centuries. These beautiful swords have had a long history and are known for their sharpness, extremely proficient craftsmanship and of course the memorable curved-style blade. The katana was certainly not the only weapon the samurai used but it certainly is the most remarkable one. Thousands of authentic katana were lost over the centuries but there are still some that remain, usually in museums or private collections. These types of swords are extremely expensive and must be cared and maintained as they are a symbol of an era long gone, but not forgotten. The impact that the samurai had on Japan and the culture of its people is still seen today in everyday life. 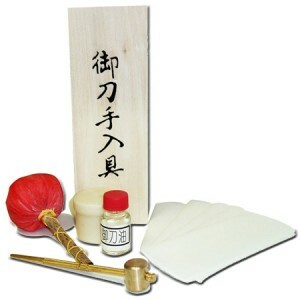 Various small rituals and routines, subtle gestures in conversations and the ongoing practice of martial arts can be seen quite frequently. Even Bushido, the samurai code of honor by which they lived, fought and died by is still practiced not only by some Japanese people, but foreigners as well. The culture and the samurai way of life is by all means not outdated or forgotten, and perhaps even more necessary than ever before. Katana is a symbol of all that, and more. In the right hands it’s one of the most efficient weapons you can find, and learning how to properly battle with one can take a lifetime of training. From martial arts students to interior designers, the samurai sword is a very sought after item. There are many reasons why you’d want a katana instead of some other sword. 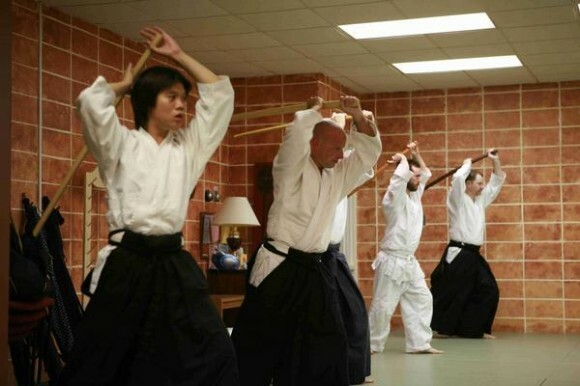 Martial arts students will most likely want a special katana sword that represents their dedication. Samurai culture is appealing, interesting and controversial even to this day and what better symbol of it than a katana, an item which the samurai considered their soul. Interior design in oriental or Zen fashion shouldn’t go without a samurai katana. Businessmen who want to display a strong message often do so by showing a katana in their offices. Anyone else that wants to feel like a samurai, be it through cutting water bottles in their backyard or wielding the sword when nobody is watching. I’d say everyone has their own reasons why to get a katana. In my opinion it’s the most beautiful sword ever made: it’s the ultimate result of centuries of refinement by master swordsmiths and warriors, and seeing a man wearing a hakama wield one with technique and ease is an amazing sight. It’s something I will never have but will always long for. What Kind Of Katana To Buy? Many martial arts require a katana or its blunt replica to train, for example Kendo or Iaido. Training swords can be purchased quite affordable with prices of less than $100, but higher quality swords can cost hundreds of dollars. For beginner practitioners it’s best to buy an average sword and not spend too much money on it; practicing martial arts isn’t for everyone and you might end up using the sword only for display purposes eventually. If you need a wooden or bamboo sword for Kendo, you’re looking for a Shinai or Bokken, which cost far less than a steel sword. There are functional steel training swords as well, and they won’t break your budget either. Just be sure to get one from a prominent manufacturer, and make sure you read some buyer reviews first so you know what you’re buying. Last thing you want is for your samurai sword to break apart on the first parry. Swords that aren’t sharpened or even full tang (blade doesn’t extend in the handle) and are meant for display purposes only are often less than $50, making it an affordable decorative item for just about anyone. If you do get a decorative katana, do not try and cut anything with it, since it’s very likely not designed to handle any kind of cutting attempts. 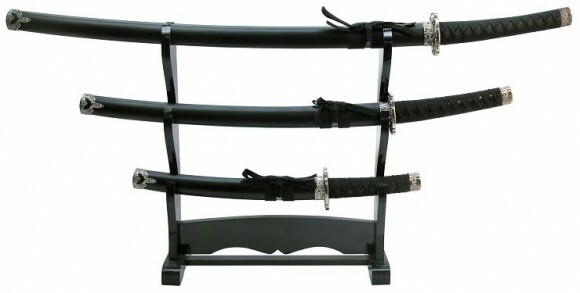 If you’re buying a decorative samurai katana be sure to get one with a sword stand. Sometimes the pictures of the swords show them on a display stand but make sure to read the description carefully to see if it really ships with one. If you intend to do any cutting of water bottles of bamboo sticks you will need a sharpened, high-quality battle ready katana sword. Fortunately they can also be found for reasonable prices, at least as far as I’m concerned. A quality sword that will handle most cutting can be bought for as low as $200, sometimes even less. Typically, you get what you pay for. Most japanese katana over $500 don’t necessarily have a more durable blade, but usually have higher quality fittings, scabbard and decoration. If you happen to have a thousand dollars or more in your budget you can get a japanese samurai sword that’s supposed to be feared of. Highest quality swords are well worth the price for the most serious collectors: they are usually made of the highest quality steel or Tamahagane and feature the best quality and authentic fittings. It’s the best of the best, so if you’re prepared to pay the price you will be getting a sword to be respected. Functional swords need to be properly maintained. If you do get a higher quality sword, make sure you don’t touch the blade and oil and clean it properly every few months to avoid rust stains. The whole process is very easy and takes barely five minutes, but it’s something to note. Most decorative-only katana are made from stainless steel so you don’t have to worry about any kind of maintenance. Additionally I wouldn’t recommend getting a high quality sharpened katana sword for beginners. Swords can and are dangerous and you should always be extra careful when wielding one. If you only want to practice wielding it and learn how to properly put it in the scabbard, you don’t need a sharpened sword so consider getting one with a dull blade first. Also remember that just because you paid a few hundred dollars for a quality katana it doesn’t mean it’s indestructible. Don’t ever try to cut metal or even chop wood. These swords may be sharp and durable but they are still prone to damage. Hopefully now you know what kind of katana are you looking for. I suggest you check some of my articles about samurai and katana swords and learn more about the swords and the warriors that used to wield them. Then go ahead and check my selection of the best Masahiro, Musashi or Hanwei katana swords, which are three of the world’s top katana manufacturers if you’re looking for functional swords, or see my choices of decorative swords. In either case whichever katana sword you decide to get I’m sure you’ll be pleased and proud for having one.